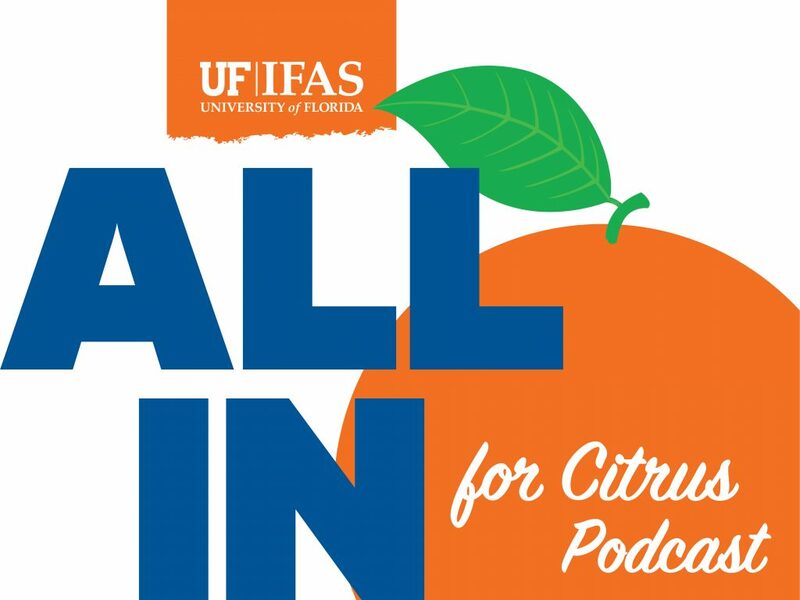 The podcast, “All in for Citrus,” features short interviews with scientists working to find solutions to citrus greening and other devastating citrus diseases. “This is the latest tactic in a comprehensive communications effort launched this past summer by the UF/IFAS Citrus Team,” said Michael Rogers, statewide citrus research coordinator and director of the UF/IFAS Citrus Research and Education Center in Lake Alfred, Florida. The podcast complements the new website, citrusresearch.ifas.ufl.edu, and a new monthly newsletter, both launched at the August Citrus Expo held in Fort Myers, Florida.